4 weeks FREE accommodation.Provided by InterCon UK. Study at Bournemouth University & get up to 4 weeks’ FREE accommodation. Fees are paid directly to BU. InterCon UK, never requests fees from Students. Our services are always provided FREE of charge. Bournemouth has the warmest climate in UK and is a very popular place with its long Blue Flag beaches. It has long been the first choice for people who are looking for a seaside holiday. The University is in the town centre and is about 2 hours from London. There is an airport in Bournemouth and the public transportation facilities such as bus, train and plane are very good. Bournemouth University (BU) is among the UK’s leading creative, modern institutions, with a strong reputation for innovation and quality. 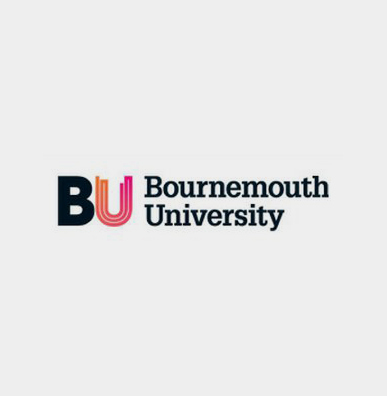 Bournemouth University is the best university among developing universities in the UK. There are two campuses at the university. There are various shops, pubs, cafeterias, basketball and volleyball courts, a gym and a five floor library on campus. There are great bars and clubs that offer discounts to students and they organize fantastic student parties. The most popular one is probably The Old Fire Station. Bournemouth University students can enjoy discounts of as much as 50%. Student discounts are also available on public transport. All students have career advisors who are following their improvement and studying. International students can also be involved in the Students’ Union and participate in all their activities. The school helps students with their accommodation. Study programmes at BU are closely linked with industry, with cutting edge, research-led teaching, paid work placements and state-of-the-art facilities to ensure that you have the knowledge and skills to succeed in your career, helping BU to maintain one of the UK’s highest graduate employment rates. Some programmes include a work placement which lasts about 40 weeks. In this way students gain paid work experience as well as 3 years academic education. In February 2012, BU was awarded a Queen’s Anniversary Prize for its pioneering work in Animation, and its six Academic Schools include a UN World Tourism Organisation (UNWTO) Centre for Excellence in Tourism and the UK’s only Centre for Excellence in Media Practice. BU aims to develop independent, adaptable students and graduates in a wide range of professionally-focused subject areas. InterCon UK Promotion: Up to 4 weeks FREE accommodation. InterCon UK, never requests fees from students who study in the UK. Get FREE benefits with our promotions while paying fees direct to your institutions. This page updated 2. March 2019.